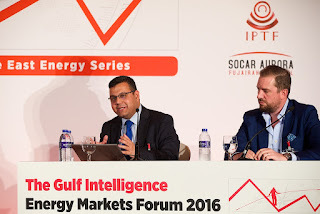 The Oilholic finds himself roughly 3,500 miles south east of London, in Fujairah, United Arab Emirates, for a speaking engagement at the Gulf Intelligence Energy Markets Forum 2016. 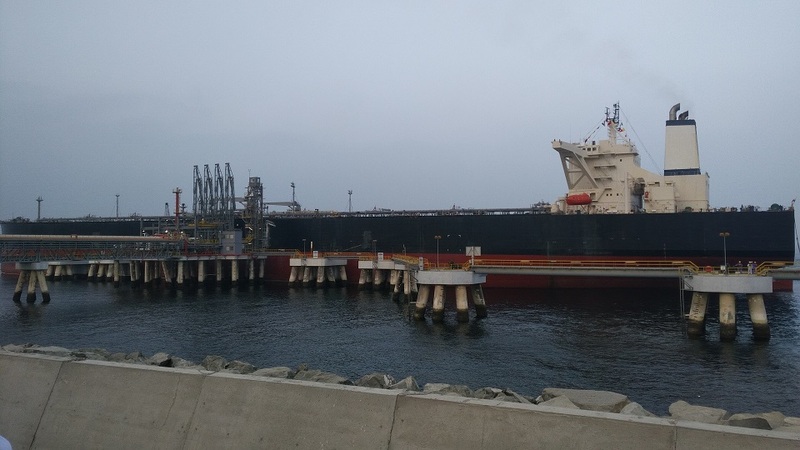 However, before proceedings began at the event, the Emirate’s administration took the occasion to launch its first Very Large Crude Carrier (VLCC) jetty, built at a cost of AED 650 million (£137m, $177m), with the construction of a second jetty already underway. In sync with the launch, VLCC Kelly, part of the Abu Dhabi National Oil Company fleet, moored at the jetty (see above left). The move, a part of Fujairah’s drive to catch-up with Singapore as a major oil storage hub on the so-called South-South energy shipping corridor, was accompanied by global price aggregator Platts announcing it would publish independent, outright price assessments for a range of oil products for the Middle East market on a FOB [Free-On-Board] Fujairah basis starting on 3 October, 2016. The Port, for its part, will also publish weekly inventory data to improve transparency. With the likes of Vitol and Gulf Petrochem bolstering their presence in Fujairah, private tank storage capacity is tipped to exceed 14 million cubic metres by 2020, from an expected 9 million cubic metres by the end of 2016. 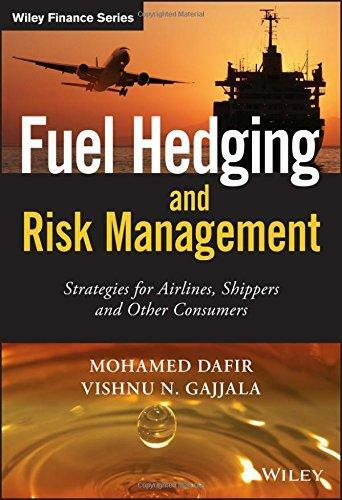 That’s definitely something to mull over in terms of the global oil storage stakes, considering the fact that less than two decades ago all people saw when it came to Fujairah was a bunkering hub. The events preceding provided the perfect setting and plenty of talking points for the EMF itself, which is growing bigger with each passing year; a testament to the Gulf Intelligence team. Yours truly, moderated two panels on key subjects – including the crucial need for Middle Eastern benchmarks and strategies for securing oil and gas sector finance amid oversupply. Of course in the current climate, market discourse would not be complete without touching on the direction of the oil price. 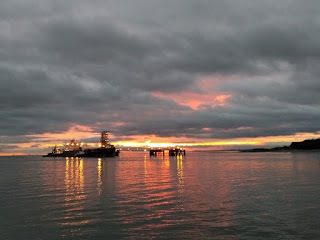 Readers of this blog are familiar with the Oilholic’s belief that the oil price is likely to be stuck in the $40-50 per barrel range, and would be no higher than that come the end of the year. Given the current set of circumstances, we could in fact be stuck either side of $50 for much of 2017; a point one made forcefully at a lively EMF debate. Constantly lurking in background is possible cooperation between OPEC and Russia over the issue of freezing and/or cutting oil production. According to Iraq's governor to OPEC Falah Alamri, a featured speaker at the EMF, circumstances were right for oil producers to seal an output freeze deal. "There was no deal in earlier attempts [in February and April in Doha] because the circumstances weren't right for producers to strike a deal. This time things are different because circumstances are little bit better and would help in reaching a deal," he told the audience. However, it’s not reaching a deal that would be the problem. The real problem will arise when the powers that be sit down and try to work out how to implement the deal! Overall, some lively conversations were held about the market direction with a broad spectrum of views. It was great being back here, but that’s all from the UAE folks! Keep reading, keep it crude! © Gaurav Sharma 2016. 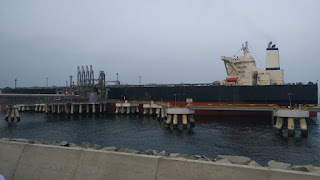 Photo 1: VLCC Kelly moored at the Port of Fujairah, UAE. © Gaurav Sharma, September 2016. Photo 2: Gaurav Sharma (left) with Matt Stanley, Fuel Oil Broker at Freight Investor Services at the Energy Markets Forum 2016 © Gulf Intelligence. 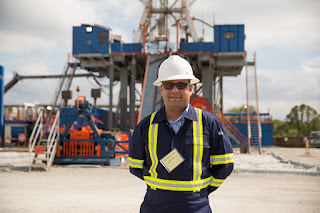 The Oilholic has bid farewell to the Big Apple, and finds himself visiting a shale gas drilling site in Switzerland Township, Eastern Ohio, via Pittsburgh, where there is something rather unique going on from a European perspective. 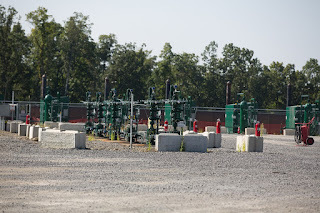 It seems Ineos, the very Alpine and European Switzerland-headquartered petrochemicals firm, and Consol Energy (which owns several Marcellus hale drilling sites), have come together to dispatch shale gas from the US of A to the old continent. Given serial British industrialist and founder of Ineos Jim Ratcliffe is involved in the enterprise – there are no half measures. 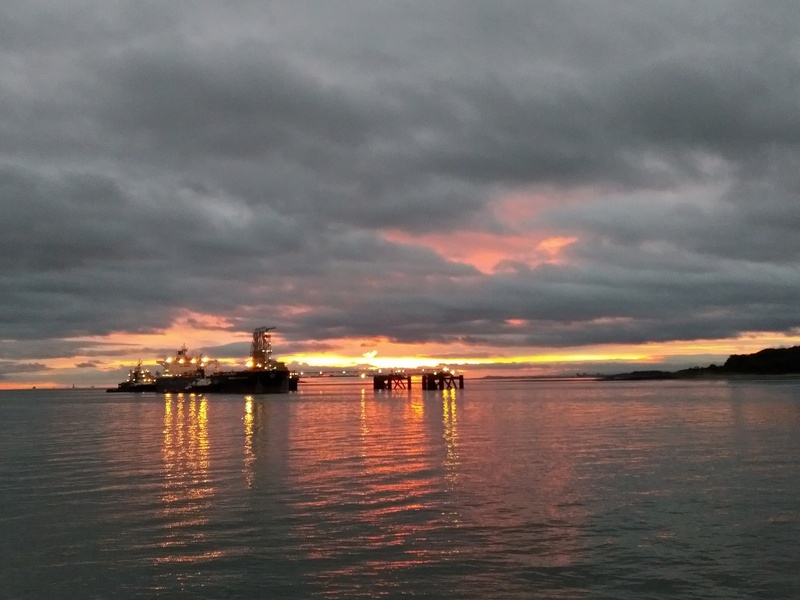 The company has commissioned eight-dragon class ships, with an investment of $2bn (£1.54bn) towards shipping more than 800,000 tonnes a year of ethane from Pennsylvania to Grangemouth (UK) and Rafnes (Norway). 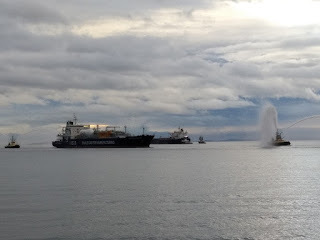 Each of the ships is capable of carrying over 27,500 cubic meters of gas sourced from the Marcellus shale. Norway has already received its first consignment with the UK tipped to receive its first one on September 27th. Ratcliffe’s petrochemicals business needs steady, reliable feedstock and exporters such as Consol, need buyers offering better proceeds than currently on offer stateside. So natural gas from Ohio and Pennsylvania is finding its way via a physical pipeline to Marcus Hook Terminal in Philadelphia, from where it gets dispatched via a virtual pipeline of these eight ships constantly moving the gas to Europe, providing Ineos with gas for the foreseeable future. 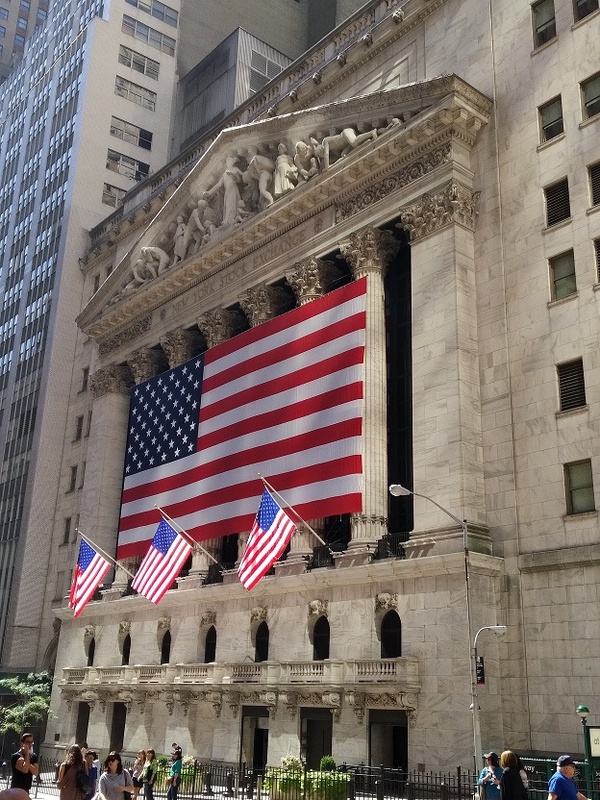 While implications for Europe are huge, what it means for US exporters is no less significant. Take Consol itself, a company moving away from its coal mining heritage dating back over 150 years, to natural gas exploration and production. It has one of the largest acreage in the Appalachian, and is slowly divesting coal assets, delving deeper into gas exploration. In more ways than one, Pennsylvania itself appears to be going through an economic renaissance along with much of the Rustbelt courtesy of shale gas exploration. Moving on from Eastern Ohio, and before hopping on the flight back home, the good folks at Consol took also yours truly to an onstream shale gas extraction facility actually on Pittsburgh airport land (see above right). Process refinements, extraction techniques and automation needed to drill such wells is also moving up in leaps and bounds. Compared to the Oilholic’s last visit to a shale gas extraction facility in 2013, drilling times have halved. Automation also enables drilling to continue 24 hours a day, seven days a week with fewer personnel. 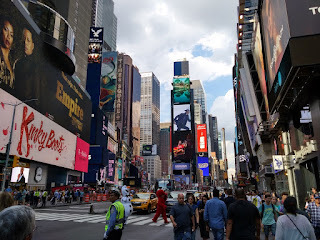 Of course, the basics remain the same – i.e. drillers often drill vertically down 8,000 to 10,000 feet before horizontal drilling commences, followed by fracking. As for the controversy that almost inevitably accompanies fracking, Tim Dugan, chief operating officer of Consol, says a well planned and thought out fracking process “does not cause earthquakes” with bulk of what's in the fracking fluid being water and rest of the materials fully revealed. 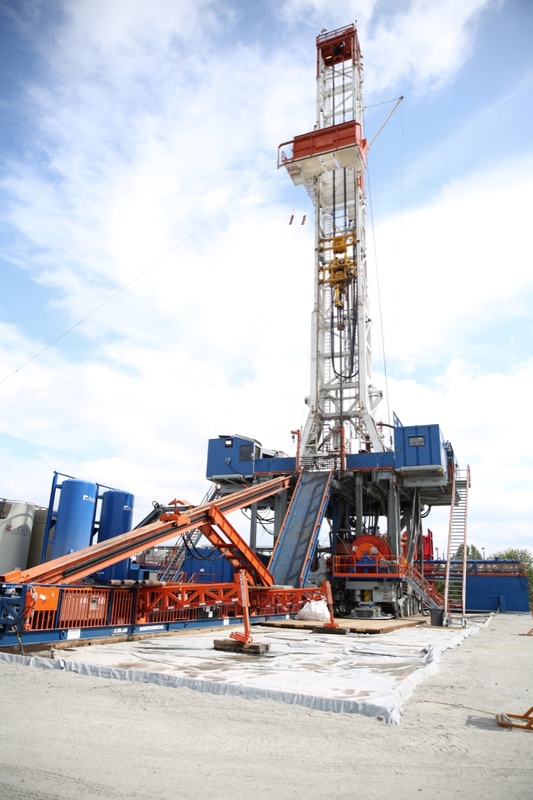 Dugan also says seismic studies have improved in step with the shale gas industry, helping drillers avoid faultlines that could potentially cause tremors. Ineos is hoping to relay Dugan’s message, and the economic transformation shale has brought to the rustbelt, back to the UK. 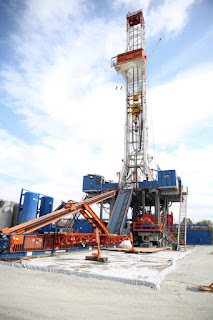 Not only is Ineos instrumental in exporting US shale gas, it also holds 30 shale exploration licences in UK that it hopes will one day revive the British oil and gas industry. There's much promise, but its early days yet. 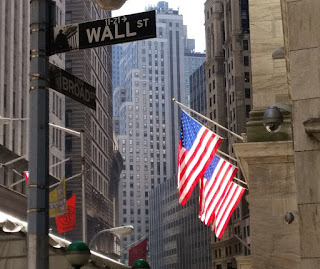 That’s all from the USA for the moment folks, its been a memorable visit to another shale extraction site; one's first outside of Texas. However, just before one takes your leave, a special shout out to Mike Fritz of Consol Energy, who accompanied this blogger over two days with various stopovers from Eastern Ohio to Pennsylvania, enduring traffic jams, pesky questions, site visits and information requests – all of which were met with a friendly smile. Keep reading, keep it crude! Next stop London Heathrow. The intertwining of US foreign policy with the country’s energy security has been a matter of public discourse for decades. 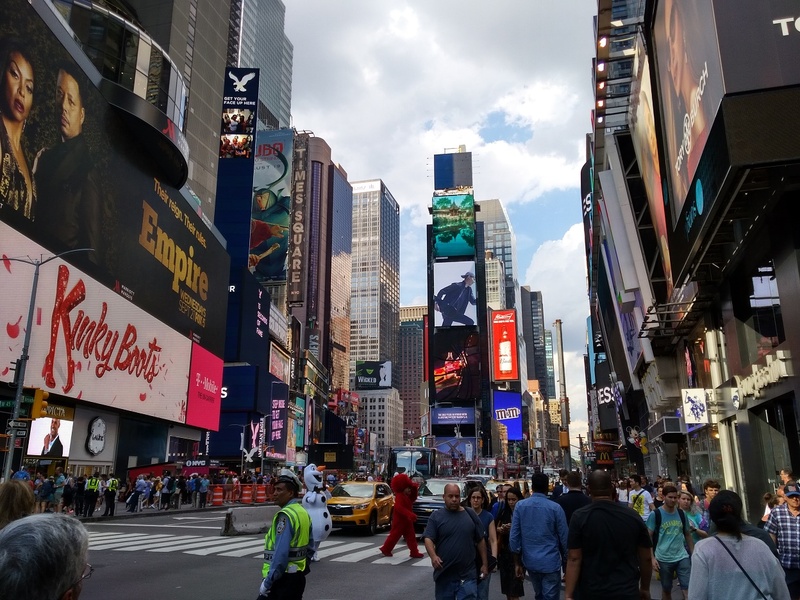 The connection only witnessed a dilution of sorts roughly six years ago when the US shale bonanza started easing the economy’s reliance on oil imports in meaningful volumes. 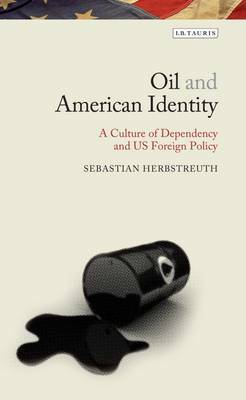 In an era of ‘lower for longer’ oil prices and shale’s contribution to US energy security being hot topics, author Sebastian Herbstreuth refreshingly reframes the country’s ‘energy dependency’ as a cultural discourse via his latest book – Oil and American Identity published by I.B. Tauris. 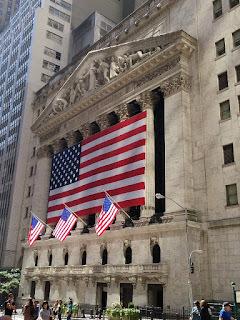 In a book of 270 pages, split by six detailed chapters, Herbstreuth attempts to draw and examine a connection between the US energy business and American views on independence, freedom, consumption, abundance, progress and exceptionalism. Stateside, foreign oil is selectively depicted as a serious threat to US national security. However, that selective depiction is contingent upon the ‘foreignness of foreign oil’ to quote the author. Herbstreuth shows how even reliable imports from the Middle East are portrayed as dangerous and undesirable because the region is particularly 'foreign' from an American point of view, while oil from friendly countries like neighbouring Canada is cast as a benign form of energy trade. The author has somewhat controversially, and rather brilliantly, recast the history of US foreign oil dependence as a cultural history of the world’s largest energy consumer in the 20th Century. That age-old concern about there being an existential threat to the US, as a society built on the internal combustion engine and mobility, is in part born out of the very cultural fears flagged by the author in some detail. The striking thing is that the fear still lurks around despite the rising contribution of US shale oil and gas to US energy security. Reading Herbstreuth’s work you feel that in many ways the said fear slant is never going to go away, for it is as much a cultural issue as a geopolitical or economic one, neatly packaged by the political classes for the ultimate ‘Hydrocarbon Society’. The Oilholic would be happy to recommend Oil and American Identity to fellow analysts, those interested in the oil and gas business and cultural studies students. 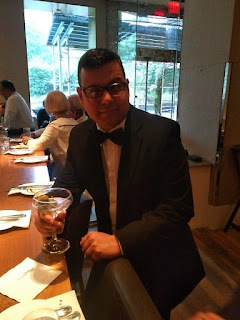 Furthermore, a whole host of readers looking to ditch archaic theories and seeking a fresh perspective on the crude state of US energy politics would find Herbstreuth’s arguments to be pretty powerful. © Gaurav Sharma 2016. © Photo: Front Cover – Oil and American Identity © I.B. Tauris, 2016.